In those who are addicted to drugs (or any other substance or behavior), the desire to re-experience the intoxicating effects they initially felt when they used the drug can be overwhelming. It can lead to compulsive drug-seeking, obsessive thinking, and irrational behavior. In addition to these new thought patterns and behaviors, however, addiction is also associated with a diminished ability to experience pleasure from non-drug rewards. This reduced ability to experience pleasure is termed anhedonia. For example, someone who is addicted to cocaine will obsessively seek cocaine, and consider the procurement and use of it a rewarding experience. However, he may not get much pleasure from other things that many people find rewarding, like going for a walk, watching a favorite movie, or talking to a friend. As you can imagine, an obsession with the rewarding effects of a drug combined with a decreased ability to enjoy other rewarding things in one's life can cause one to pursue drugs even more obsessively, as drugs begin to seem like the only thing that can generate pleasure. It is not clear if anhedonia is something that predisposes people to use drugs (e.g. people who become drug addicts have trouble experiencing pleasure from everyday rewards and so turn to drugs because they manipulate the reward system more powerfully), or if anhedonia is caused by chronic drug use. Anhedonia does, however, appear to be associated with aberrant brain activity. For example, individuals experiencing anhedonia (whether as part of drug addiction or due to some other disorder like depression) display decreased activity in the ventral striatum, orbitofrontal cortex, and prefrontal cortex, as well as various abnormalities in dopamine signaling. 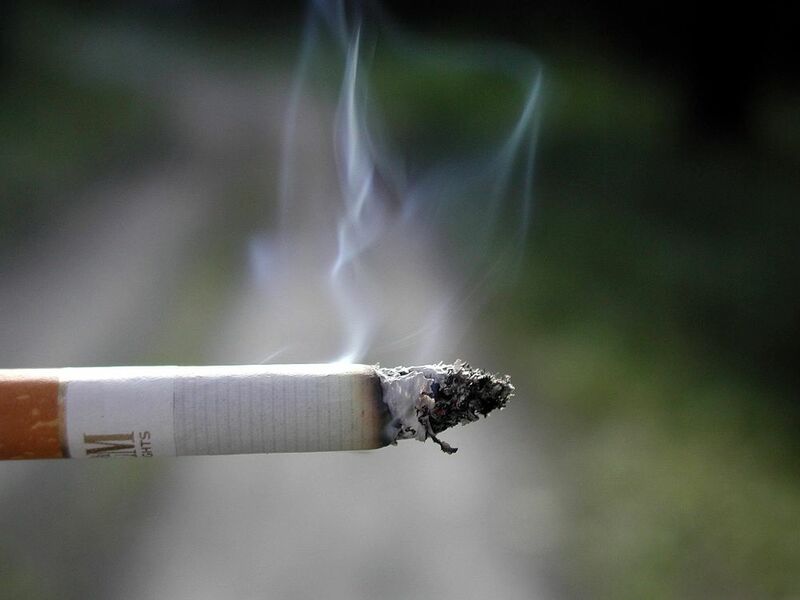 A study published recently in Cognitive, Affective, & Behavioral Neuroscience explored altered reward processing (similar to what might be seen in anhedonia) in cigarette smokers, and how it was associated with the ability to refrain from smoking. The researchers, Wilson et al., used functional magnetic resonance imaging (fMRI) to visualize brain activity in a group of smokers while they played a game in which they won small monetary awards ($1 at a time). Then, the participants were given the opportunity to earn an additional $1 for every 5 minutes they were able to put off smoking a cigarette. The investigators found that the smokers who displayed the least activity in the ventral striatum (an area of the brain thought to be especially important in reward processing) in response to a monetary reward were also least likely to refrain from smoking in the second part of the experiment. The authors suggest this may represent a reduced response to non-drug rewards in those who are addicted to cigarette smoking. Such an attenuated response to rewards other than smoking could be especially problematic when trying to use incentives to help people quit smoking. For example, if the reduced ability to experience reward outside of smoking cigarettes was applied broadly, it could mean that even the idea of improved health would not be easily appreciated by someone addicted to smoking. And therein lies the rub (or one of them) with addiction: when an individual finds it more difficult to experience pleasure from something other than their preferred substance, what incentive can you give him or her to stop using it? This is one reason why the riddle of addiction has been a difficult one to solve, and why we keep seeking novel treatments (see this article about vaccines to treat addiction) for substance dependence.